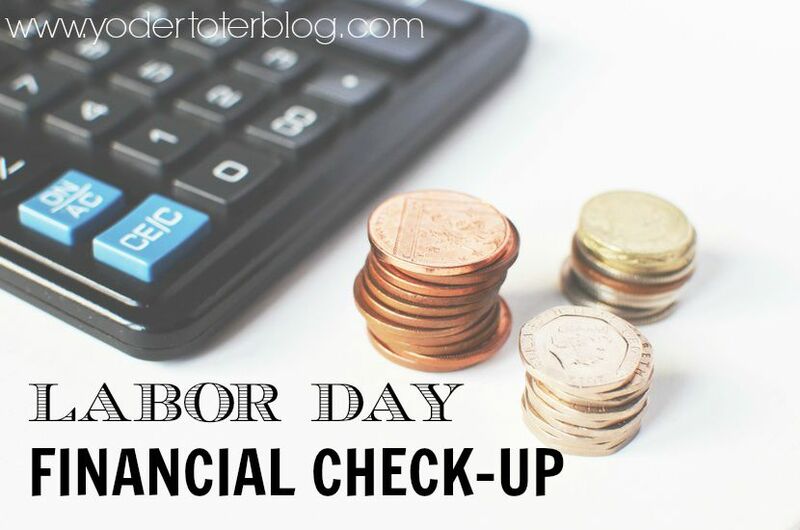 Most people celebrate the end of summer with a day by the pool or campground, but we choose to use a morning at home to do a financial check-up. It’s never a bad time to review your yearly finances, but the unofficial end of summer seems even more timely! The calendar is showing a slow-down to pop-up cookouts, weekend road trips, and high gas spending- so we can evaluate where we’re at and what expenses we have coming up. This year is two-thirds completed so there’s no harm in focusing on big expenditures that will happen in the new year and how we can best budget for them. Are there any expenses we can cut? What plans do we have for the house in the coming year? Are the planned renovations the best use of our money and time? What charities have we supported this year- what goals do we have for supporting those charities next year? Is there someone in our lives that we could bless? Are there any cars we need to replace in the next 2-3 years? How can we begin to save money? We don’t do car payments. What travel goals do we have for 2018? How much money are we willing to allow for travel? How can we best utilize credit card points to make this happen? Are we on track for our full Roth IRA contribution? How much more do we need to contribute this year? I feel so much better after this conversation! I think it’s so important to “cast a vision” with your spouse so you are both on the same page, but more importantly, so you have peace that you are being good stewards of your finances! We believe that God gives us everything and it’s our job to manage it faithfully. Budgeting is really the ONLY way to do this! You must must must must must have a budget. Got it? What do you think- Did we forget to cover something? Maybe you had a financial check-up, too? (This was obviously our conversation as husband and wife, but it would work for singles, too).